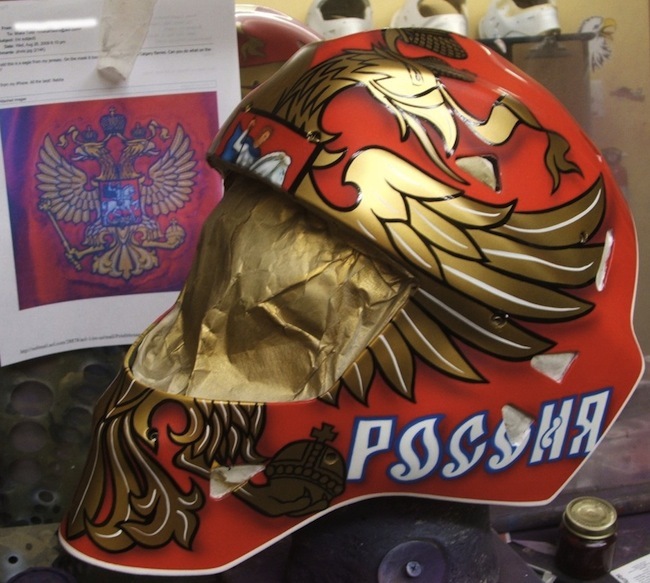 Our pal over at InGoal Magazine has a sneak peak of Evgeni Nabokov’s Olympic mask – painted by Todd Miska. There are a couple other pics of the mask over at David’s site. If you’re into goaltending it’s a must-bookmark site. Let us know what you think of the mask!